Growth from his past hair transplantations ended up being quite poor. And he was also left with tremendous scarring as well as scalp deformity. 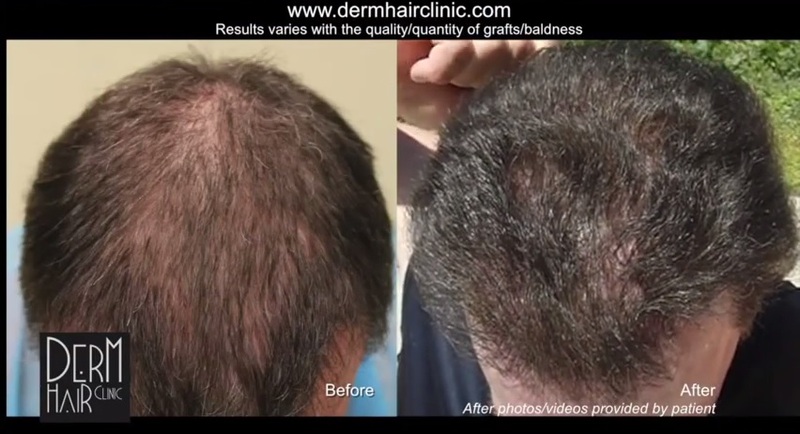 The hope of restoring hair and a normal looking appearance was quite slim through more conventional surgical paradigms. 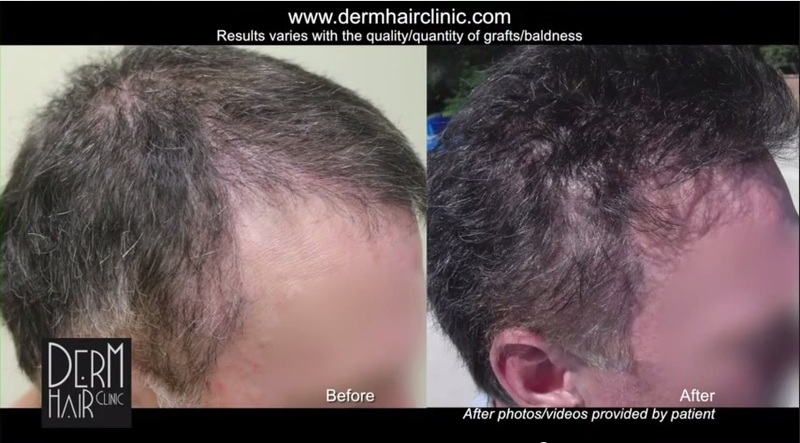 This was due to the limited number of donor grafts left on the patient’s head. 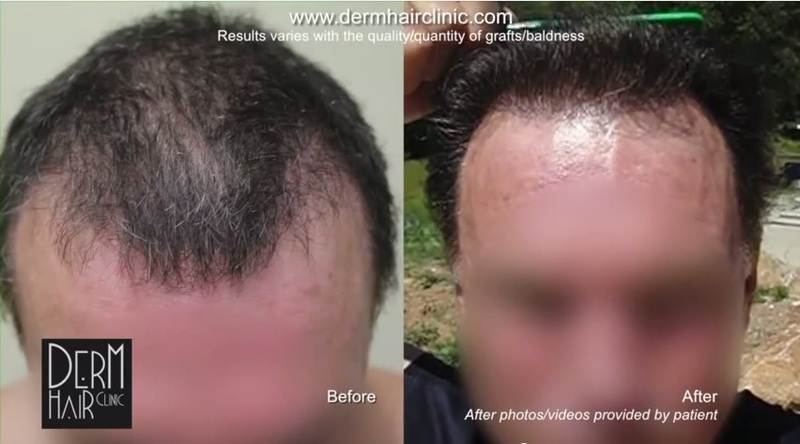 A body hair transplant procedure is what enabled him to achieve the coverage goals that he actually wanted. Dr. Umar was able to harvest 6200 grafts. Many of these were taken from the beard regions. Head hair was also inserted to help create a more uniform texture in the final results. Nape hair follicles were used to give the hairline a softer edge. Removing hair from the beard area or any other region of the body is a specialized process. These hairs grow at very sharp and often unpredictable angles. Therefore, the use of general FUE punches would likely damage the follicles. These cylinders need to be placed very accurately around each structure, leaving very little room for human error. However this level of perfection is unrealistic. Secondly, wound healing results on the body using regular FUE instruments would leave more noticeable scarring. This is due to having less hair on these surfaces, compared to the head. 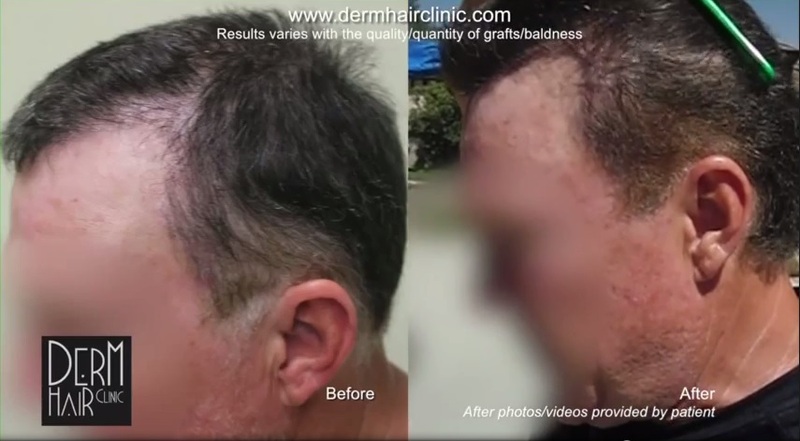 Due to these challenges, Dr. Umar included special features in his uGraft technology to make body hair transplantation a reliable and feasible solution for patients like the one shown here. This patient wanted an age appropriate look for his hairline and temple restoration . He was inspired by the appearance of Bono’s hairline. Dr. Umar modified the shape and overall framing to best suit this patients face. The video best shows the improvement of Dr. Umar’s work on this guy; the stills, not so much. He would probably look better if he styled his hair the way he had it in the before photos IMHO. In the “after” photos, he looks like he has quite a bit of scarring around his jawline. The before photos don’t capture this area. Is the scarring the result of the beard extractions? Thanks. Can you post the name of the doctor who did his transplants before?